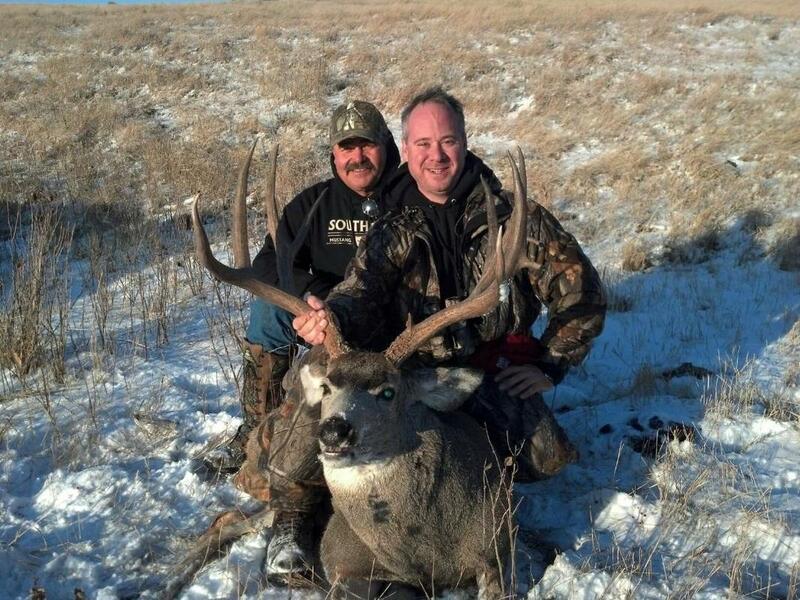 Directory of 14 South Dakota Buffalo hunting lodges, guides and outfitters in South Dakota. Buffalo Hunts available. Call for a quote. Relive the days of wild buffalo herds roaming the prairie here in SD on acres of rolling hills and native prairie, its a step back in time. You keep the entire animal. The trophy bull can weigh 1800-2000 lbs. and be about 5-10 yrs of age. The younger bulls weigh in at 1200-1500 lbs. The cows that are 2 to 4 years of age weigh 900-1100 lbs. Again, you keep the entire animal. Call for current pricing. The only Lakota owned buffalo ranch in the Old West. Thirty sq. miles of rugged country. This is a one of a kind Lakota hunt. Brownotter Tantanka Hunts is a true Native American owned buffalo hunt. Located in the heart of the Lakota Sioux Standing Rock Reservation in Bullhead, South Dakota. You will have permission to enjoy hunting on 20,000 acres of wild plains for prairie dogs, coyotes, bobcat, sharptail grouse. Tribal licenses are required and Ron Brownotter is ready to share his world as your guide. Enjoy Indian lore, take a private tour of the reservation and see spectacular views overlooking the Grand River. The Buffalo Hunt is a fully guided hunt on "7,000-plus acres - 3 1/2 square miles of untamed plains"of the ranch where the buffalo roam free. This is the largest game animal in North America. The largest bull that has been taken at the ranch weighed over 2100 lbs. We have many bulls that are in that range of weight. We also have younger trophy bulls that weigh in at 1200-1500 lbs., and older burger cows that are 2 to 4 years of age weighing 900 to 1100 lbs. Two-night stay for you and a guest at the Historical Alex Johnson Hotel and One-day Trophy Buffalo hunt. Package includes two night’s lodging with meals for both nights and continental breakfast the day of hunt. Coupled with a trophy bull, head, horns, hide and cape, plus all the meat, guide, transportation to/from airport, and transportation of buffalo to local locker. Experience the thrill of tracking one of the Great Plains largest beasts! With Outrageous Adventures it doesn't get any better than this! Hunting the massive American Bison in South Dakota is as primitive as it gets. We offer an all inclusive buffalo hunt at a price that you cannot pass up. This hunts is 1 day and 2 nights and includes your lodging, meals, and guide. The buffalo taken will be 2 1/2 to 3 years old. These are large bulls with delicious meat. Contact us to set up your hunt today! Is there anything which better symbolizes America and the plains of South Dakota than our resident heard of American Bison? Cresting a hill, while hunting pheasant, and looking up to see a buffalo heard is a one of a kind experience. During the end of December and the first part of January we allow the harvest of two to five trophy-quality bulls. These bulls are between the ages of five and 10 years and average approximately 2,000 pounds each. Younger, "meat bulls", are also available.